There is a lot of talk about global health governance these days, especially in the wake of the Ebola crisis. 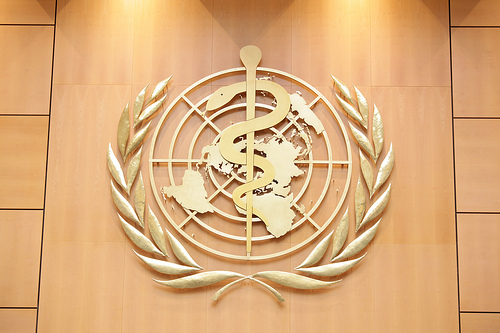 Many people in the global health community have come out with sweeping statements about the need for better coordination of responses to global health crises, better integrated surveillance, and a firmer definition of each agency’s or government’s role in the process of addressing a major global health issue or emergency. Many of the recommendations involve strengthening World Health Organization resources and strengthening local healthcare systems. Strangely absent from most of these discussions is any consideration of the people at the heart of these outbreaks. It may not simply be the case that pouring more resources into WHO responses is the answer to preventing and managing global health crises. Instead, we should be thinking about how the interventions that are unleashed are actually received in local settings and how these perceptions shape the direction of the crisis or epidemic. While certain measures in light of a global outbreak are obvious, including isolation and quarantine in some instances and provision of additional medical support in the form of equipment and personnel, not every method of dealing with a global outbreak is necessarily set in stone. Often overlooked is the matter in which emergency measures are communicated to people and any consideration of what the local reaction is likely to be. Indeed, some of our recent international efforts in response to Ebola backfired for precisely this reason. We failed to properly address issues of distrust and fear of foreign medical workers as well as the power of deeply entrenched cultural norms, including caring for the sick at home. As a result, we not only made the situation worse in some cases but we were also much less effective at curbing the epidemic than we could have been had we paid attention to these more ‘emotional’ and cultural factors surrounding the response to disease. The humanitarian aid and economic development fields have recently been exploring the notion of feedback as a means to create better programs and better emergency responses to disasters in resource-limited settings. Dennis Whittle recently argued that international aid is only likely to work well if we can begin to break free of the insistence that everything be proven by a randomized clinical trial and begin to accept ‘soft’ evidence from a wider variety of sources. This kind of thinking is the impetus behind new projects such as Feedback Labs, a new organization that supports and facilitates citizen feedback on a variety of projects and government programs, encouraging constant experimentation and re-working of initial concepts. Another example is Global Giving’s storytelling project, a project that enables organizations to collect community feedback through simple collection of stories. These kinds of impromptu programs yield qualitative data that obviously cannot stand on their own (they cannot eliminate confounders or say much about broader populations), they are an absolutely essential piece of improving the way in which we approach aid in developing countries. In fact, we are coming to recognize that quantitative data gleaned from rigorously conducted, prospectively designed and controlled clinical trials cannot stand on their own either. They tell us whether a given treatment is efficacious in a specific population, but not whether that treatment will work in a challenging setting where politics, economics, culture, and a host of other factors are in play. In this sense, what is “soft” evidence is indeed relative. Just as the humanitarian aid and development fields have begun to embrace the idea of feedback, it is time for the global health community to do so as well. It is critical to include considerations of local culture, geography, sociology, and economics in the implementation of treatments in the developing world, but these considerations often do not lend themselves to the traditional research designs like the randomized controlled trial. Priority must be given then to the use of alternate research methods that can give us important clues as to the effectiveness of our approaches, including more emphasis on observational studies, qualitative research, and program evaluation. While a lot of this work already occurs, we need to strive harder to make sure that these types of information collecting mechanisms are truly respected and given proper weight by people in the field. Without feedback, we simply have tools but no way to implement them. And as we have seen all too often, this lack of implementation knowledge can result in tragic failures of evidence-based public health measures. Human health and the systems surrounding it, as well as attitudes toward it, are extremely complex. In light of such complexity, it is our obligation to consider the thoughts, feelings, and perceptions of those we seek to serve. Sara Gorman, PhD, is an MPH candidate at Columbia University Mailman School of Public Health. She has written extensively about HIV, TB, and women’s and children’s health for a variety of public health organizations, including Save a Mother and Boston Center for Refugee Health and Human Rights, and has published on public health in a variety of peer-reviewed journals. She most recently worked in the policy division of the HIV Law Project and as a research assistant in the Department of Epidemiology at Harvard University. She holds a PhD from Harvard University. I agree with your points, Joseph. I really like this type blog. Thank you so much for sharing. Nice read Just to add i believe Governance challenges will continue to complicate our best efforts to respond to urgent, complex, and serious global health problems. Any effort to strengthen the global health system will require recognition and management of these tensions so that the system can better face the realities of interdependence in the 21st century.